The UK should rethink its policy ban on astronauts, a report written for the Royal Astronomical Society (RAS) says. The report warns Britain risks being isolated on the international stage if it continues its longstanding refusal to fund the human exploration of space. The RAS expert panel says the cost of joining other nations with astronaut programmes could be some £150m a year. But the scientific, educational and economic benefits would be worth it, it argues. "Recent developments across the world strongly suggest that, after a 30-year lull, space-faring nations are gearing up for a return to the Moon and then to Mars," said panel member, Professor Ken Pounds, of the University of Leicester. "It is hard to imagine that the UK, one of the world's leading economies, would not be fully involved in a global scientific and technology endeavour with such strong potential to inspire. "We therefore recommend that the government re-evaluates its longstanding opposition to British involvement in human space exploration." Current policy only allows for tax payers' money to be spent on robotic missions, which means the UK, although a member state of the European Space Agency (Esa), gives no funds to Esa's astronaut corps. 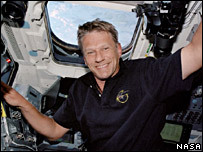 Those UK-born individuals who have made it into orbit recently, such as Michael Foale and Piers Sellers, have done so by taking out US citizenship and joining the American space agency (Nasa). As well as space physicist Professor Pounds, the panel includes Dr John Dudeney, deputy director of the British Antarctic Survey; and Frank Close, a physics professor at Oxford University, who acts chairman. Their nine-month investigation into the scientific merits of having British astronauts finds "compelling" reasons to change present policy. The men say robotic missions to the Moon and Mars can answer many of the questions we want to ask about the origin of the Solar System and the evolution of life within it - but machines do not yet have the ingenuity and flexibility of people. "Humans are good at making decisions that are impossible to predict ahead of time," said Dr Dudeney. "They can deviate from assigned tasks and kick over a rock just because it's a different colour and looks interesting. 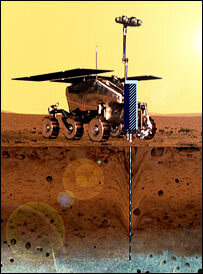 But there is a symbiosis between machines and man; it's not one versus the other, it's about what they can do together." The panel believes the industrial and educational rewards from joining other nations on manned missions beyond low-Earth orbit in the coming decades could be huge. Dr Dudeney explained: "The UK is the fourth largest economy in the world. We have an amazingly rich and diverse capability in engineering and science; we have an enormously powerful capability and it could be used in this context to great effect." Professor Close said his interest in science as child was inspired by the Sputnik satellite and the children of today could be similarly enthused by human spaceflight. 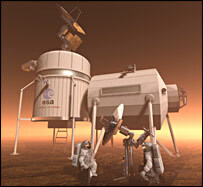 "If space science fiction is ever going to become science fact, now is the time," he said. The panel members say they commenced their study with an element of scepticism on the scientific value of human involvement in space, but as they took more evidence and looked deeper into the issues they were persuaded the UK could play a role. "We're talking about human spaceflight that is science driven, but which would have these other, wider and impressive benefits," said Professor Pounds. "If it has an inspirational effect on education by getting more kids going into science, if it gives interesting challenges to industry so that it draws the brightest graduates, that has to be good for the UK and science in the UK." As part of its fact-finding exercise, the RAS panel tested public opinion through the BBC News website. An analysis of responses to a Have Your Say debate found 61% were in favour of the UK having its own astronauts, 26% were against and 13% were undecided. Would you pay for UK astronauts?